Cherrypicked from a 500g parcel, this is the best material I have seen on the market for quite some time. There is no stone smaller than 5ct. The average size of each piece is 6.6ct. The colours range from vibrant yellows and pinks through to classic sapphire blues. 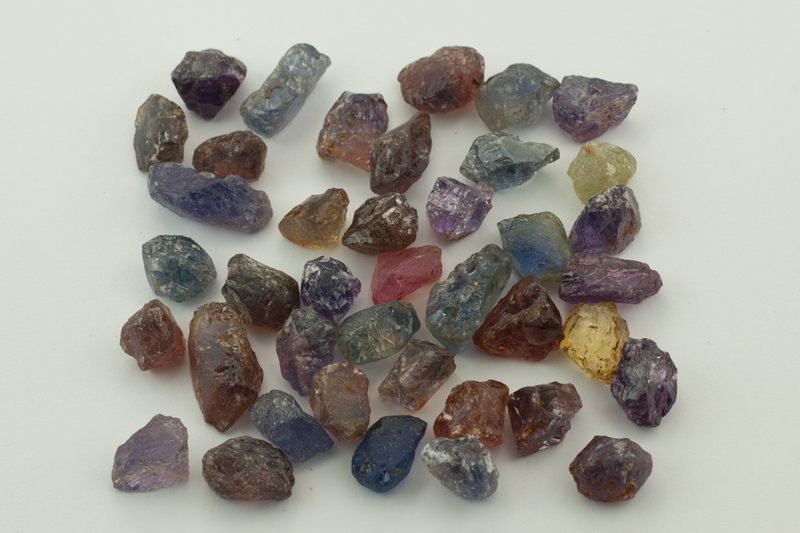 Every single one of these Umba Sapphires will cut a stunning stone. Clarity does vary, as is typical of unheated sapphire, but this is the cleanest material I have seen available.